Guruvayur is a popular pilgrimage site of Kerala situated in Thrissur district. The worldwide tourists come to pay their devotion. It is well connected place with major cities along with a comfortable transport facility. Devotees feel very auspicious to their visit especially at the time of particular festivals. Majorly, lord Krishna and Vishnu are worshiped here. One can also purchase Pooja related items from outside situated shops or can purchase any antique as a memory of the place. 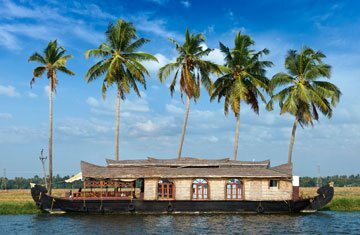 With your visit at Guruvayur, you can also cover the nearby surroundings related to ISKON centre, Parthasarathy temple, Harikanyaka temple, captivating architectural beauty of Palayur Church, elephant camp, fresh and joyful time at Chowallur Beach, Devaswom museum, Institute of Mural Painting, Chowalloor Shiva temple and much more.